Kent directs Musica Sacra in the latest of their collaborations with some of New York's major performing artists: they participate in the New York Philharmonic's "The Art of the Score - Amadeus: Live" (April 11-17 at David Geffen Hall) and the New York City Ballet's performances of the Jerome Robbins ballet Les Noces to Stravinsky's score (May 9, 12, 16 at David Koch Theater). Looking ahead to summer: note the links below to catch Kent in two summer festivals: Mostly Modern Festival, where he leads two works for chorus and orchestra by Robert Paterson ( June 17 in Saratoga Springs, NY); and Amherst Early Music Festival, where he leads a choral workshop in music of Machaut, Lassus, and Charpentier (July 8-15 in New London, CT). And don't forget that all are welcome at the Cathedral of St. John the Divine - year-round, of course, but the Easter season approaches, and with it the glorious music that celebrates it. You can see the service schedule on the Cathedral website here. An international spectrum of works celebrating the history of immigration in New York, ranging from folk music of Ireland and the Baltic region to choral music of Hindemith, Persichetti, Rebecca Clarke, Tarik O'Regan, F. Melius Christiansen, and Jean Berger, culminating in the world premiere for these combined ensembles of Immigrant Songs by Robert Sirota, libretto by Victoria Sirota. 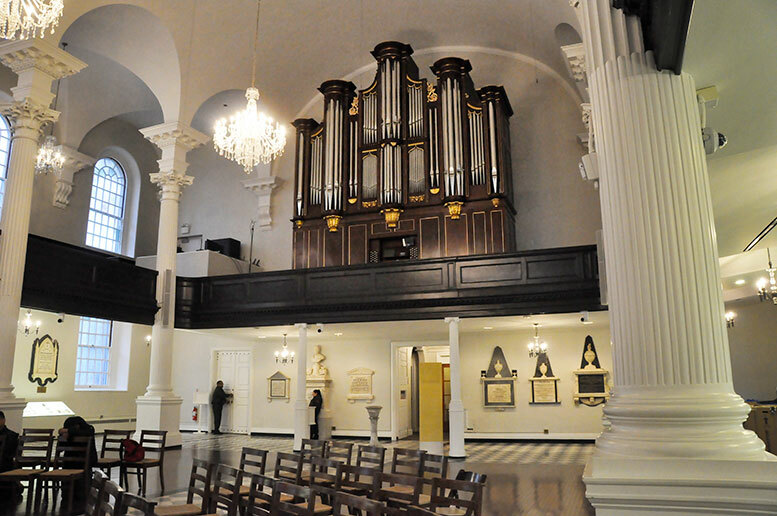 To register for the pre-concert tour of the Chapels of the Tongues, email Stephen Biegner at sbiegner@stjohndivine.org. J.S. BACH Prelude and Fugue in E minor, BWV 548, "The Wedge"